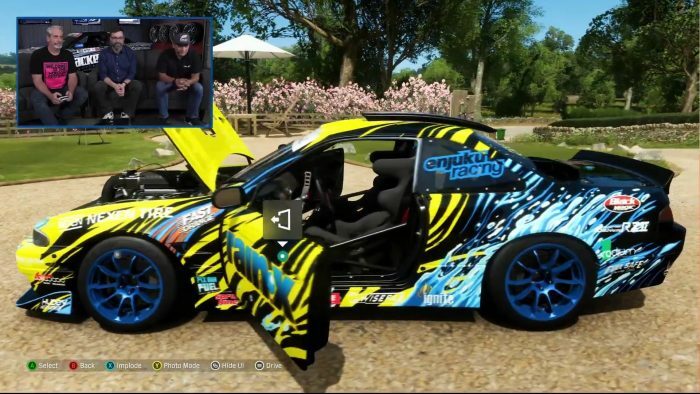 Yesterday on the August version of Forza Monthly they revealed the full list of cars in the Formula Drift Car Pack coming to Forza Motorsport 7 and Forza Horizon 4. They also went on to talk about the massive August update for Forza Motorsport 7. 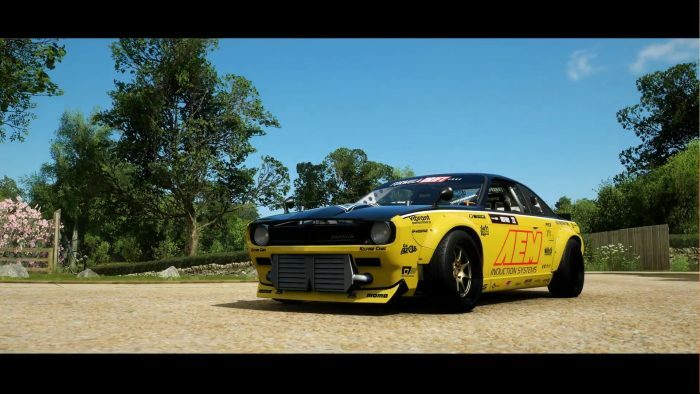 The August update includes several drift upgrades that’ll pave the way for the FD Car Pack to come to Forza. 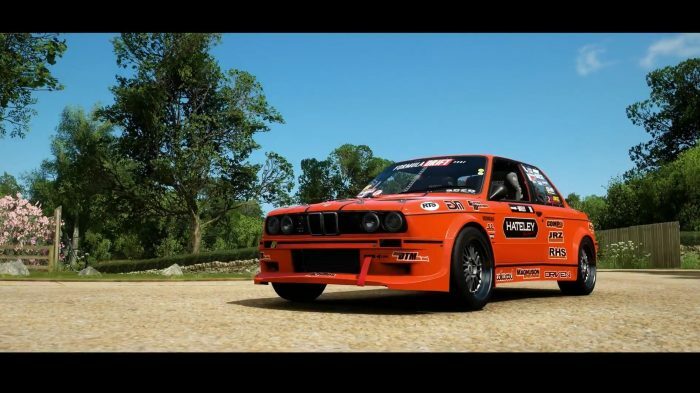 The August update, that launches tomorrow, will allow you to add angle kits to your vehicles as well as revamp the drift scoring system in Forza. 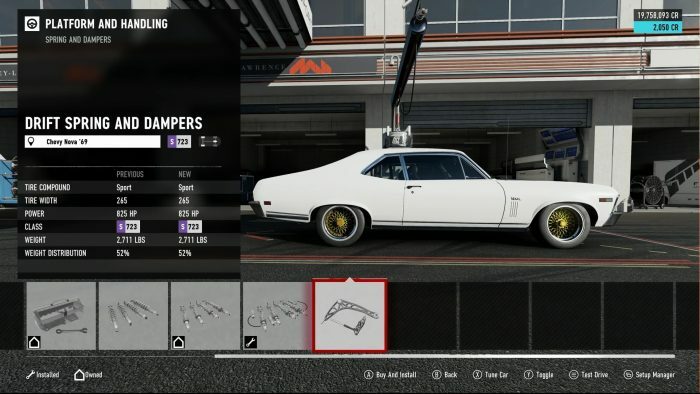 Angle kits will now be an option on cars, allowing to to adjust the steering angle from the stock 30 degrees all the way up to 60 degrees. At the full 60 degree setting, the car will also have zero Ackermann, allowing it to more accurately represent a real drift car and keep angle longer. 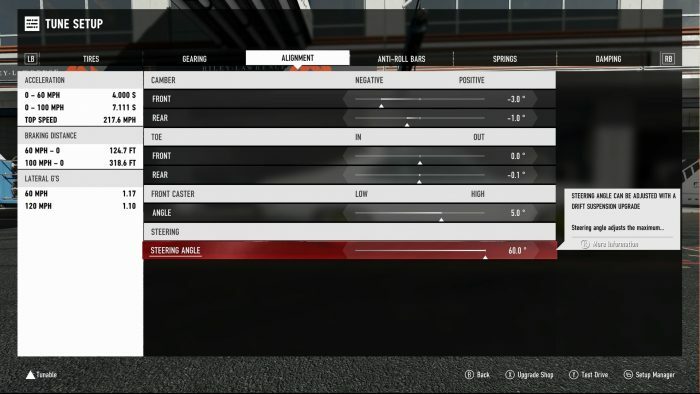 These adjustments will be on a slider, allowing to dial it to your preference as well as learn to cope with the different driving dynamics. 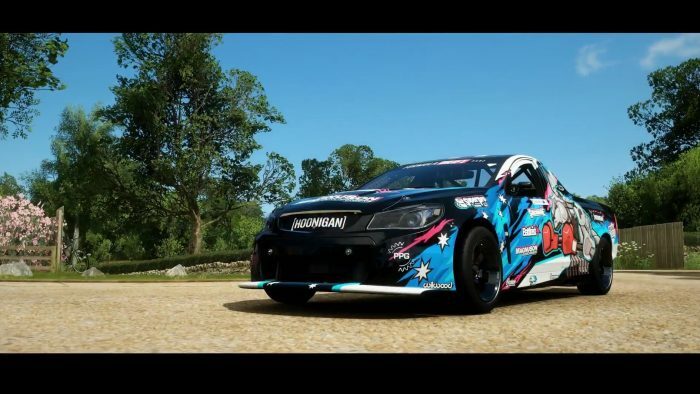 At 30 degrees the car will retain Ackermann steering and behave the same as the full race car suspension set up, and as you dial it up to 60, it takes on more and more of a professional drift car’s behavior. The drifting scoring system is also revised, with it scoring you on a scale of 10 in three categories, speed, angle, and line. Speed, is well, how fast you are going. Angle is again, the angle at which your car is while it’s in a drift. 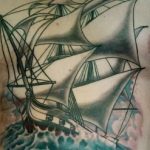 The more sideways you get, the closer to 10 your score will be. 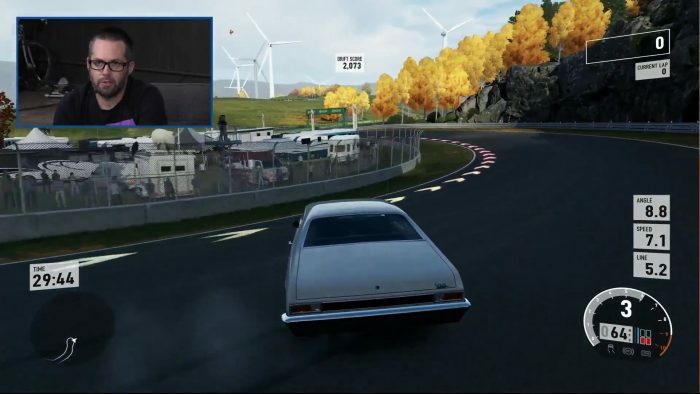 The way they judge line in Forza will be your proximity to the driving line, as this will have you hitting clipping points and outer zones throughout the track. The longer you maintain a drift, the higher your score multiplier is. Throwing big entries now will no longer result in your score zeroing out, so don’t be afraid to do a backwards entry every once in awhile. Dropping two tires off the track or tapping the wall also don’t zero out your score, just don’t drop 3 off or, you know, crash. The whole track is a drift zone now too, so you can mangi on the straights and theoretically link the whole track. 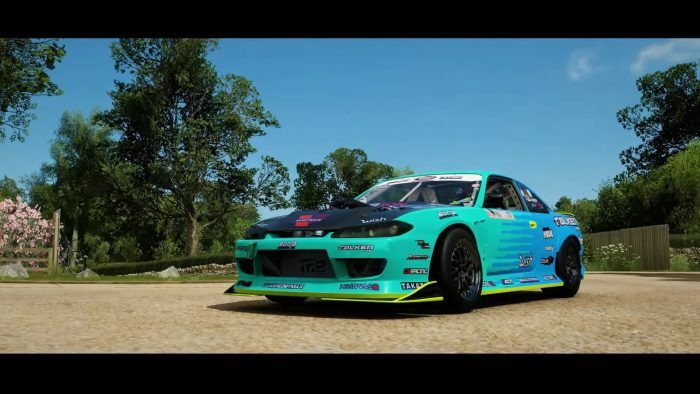 There will be 7 total cars in the FD Car Pack, which is free in both Forza 7 and Forza Horizon 4 with a preorder of Horizon. 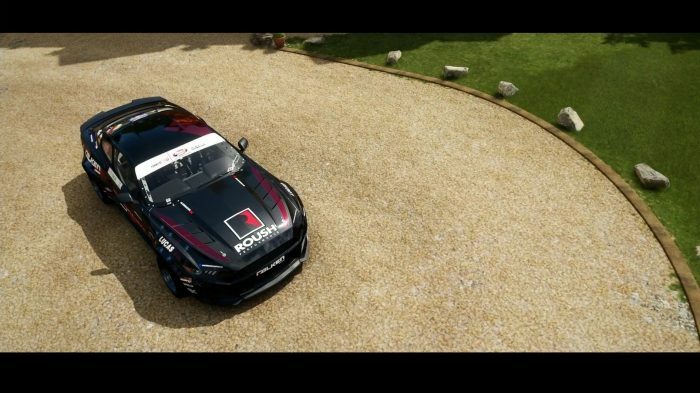 Horizon comes out on October 2nd, and I expect the car pack to be available at the same time in Forza 7, even though the angle kits will already be in 7. 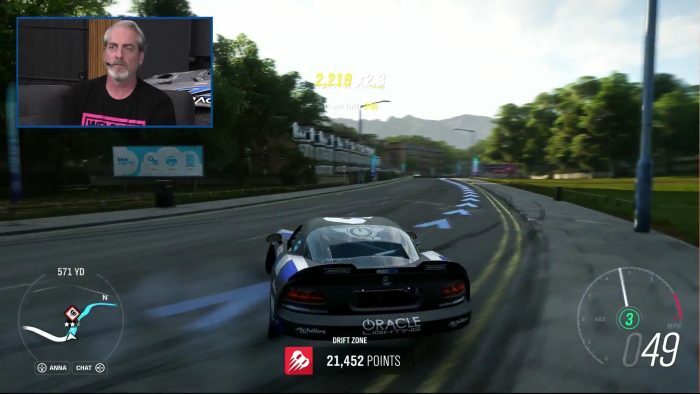 The 7 cars in the game as we found out before with our interview with Jim Liaw are from both Pro and Pro 2. Now we know who those drivers are, with each one set up to suit them and their driving style. I’ve included what series they currently drive in, as well as links where you can find them on social media for each driver if you want to know more about any of them. Nissan 240SX S14 with a supercharged LSX. 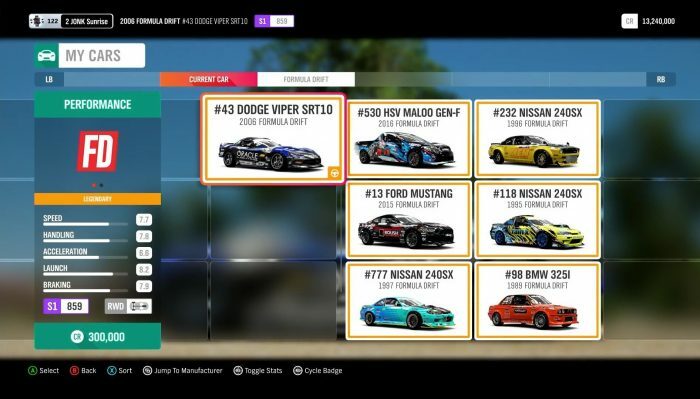 That’s all 7 cars that will be in this pack, with a special trailer for it dropping on Friday during Formula Drift’s livestream of qualifying that you can watch here for free or on YouTube. While this is a small sampling, it was noted during our interview with Formula Drift that this is just the beginning of a partnership with Microsoft and Turn 10, which has been in the works for over 2 years. There will likely be more car packs and a focus on drifting in the Forza franchise in the future, and I can’t see where it goes.